God loves this world and desires that suffering be met by words of hope, that love and grace overwhelm, and that something new happens. Serene offers presents an investigation of the myriad ways both individual and collective violence affect one's capacity to remember, to act, and to love, and how those various circumstances potentially challenge theological understanding of how grace is experienced, and even how the traumatic experience of Jesus' death is remembered. Don't miss the chance to experience for yourself the profoundly moving and grace-filled witness of this important and powerful voice! 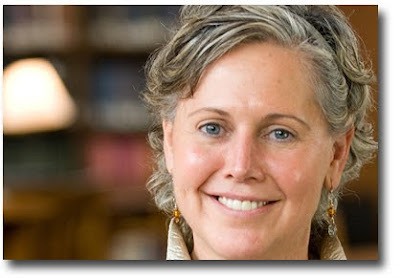 [March 17, 2010] The Office of Episcopal Church Presiding Bishop Katharine Jefferts Schori has notified the Diocese of Los Angeles that the canonical consent process for Bishop-Elect Mary Douglas Glasspool has been successfully completed. 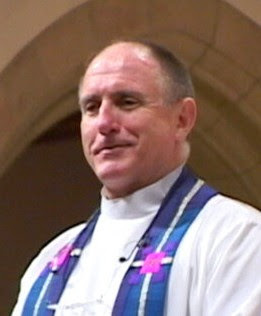 Glasspool was elected Bishop Suffragan on December 5, 2009. Her ordination and consecration is slated for May 15; Presiding Bishop Jefferts Schori will officiate. Upon election, the successful candidate is a bishop-elect. Following some procedural matters including physical and psychological examinations, formal notices are then sent by the Presiding Bishop’s office to bishops with jurisdiction (diocesan bishops only) with separate notices from the electing diocese to the standing committees of each of the dioceses in The Episcopal Church. These notices require their own actions and signatures. In order for a bishop-elect to become a bishop, Canon III.11.4 (a) of The Episcopal Church mandates that a majority of diocesan bishops AND a majority of diocesan standing committees must consent to the bishop-elect’s ordination and consecration as bishop. These actions – done separately - must be completed within 120 days from the day notice of the election was sent to the proper parties. If the bishop-elect receives a majority (at least 50% plus 1) of consents from the diocesan bishops as well as a majority from the standing committees, the bishop-elect is one step closer. Following a successful consent process, ordination and celebration are in order. Therefore: LET THE CELEBRATION BEGIN! Ed Bacon on Glenn Beck, The Prodigal Son and why "Our Destiny is a Party"
Albert Einstein famously said, "No problem can be solved from the same level of consciousness that created it." The authorities already know about us here at All Saints Church. The IRS knows that we preach the good news that citizens have the responsibility to transform their institutions and governmental policies when those policies dehumanize, degrade and kill those who are the least of these. The central mandate of our scriptures involves making peace and transforming economic structures that actually are manufacturing this morning poverty, hunger, sickness, homelessness and discrimination. Watch the sermon video here ... and may God bless all who preach peace, work for justice and strive to live lives of compassion.